Malware, spam, scams and random stuff, by Conrad Longmore. 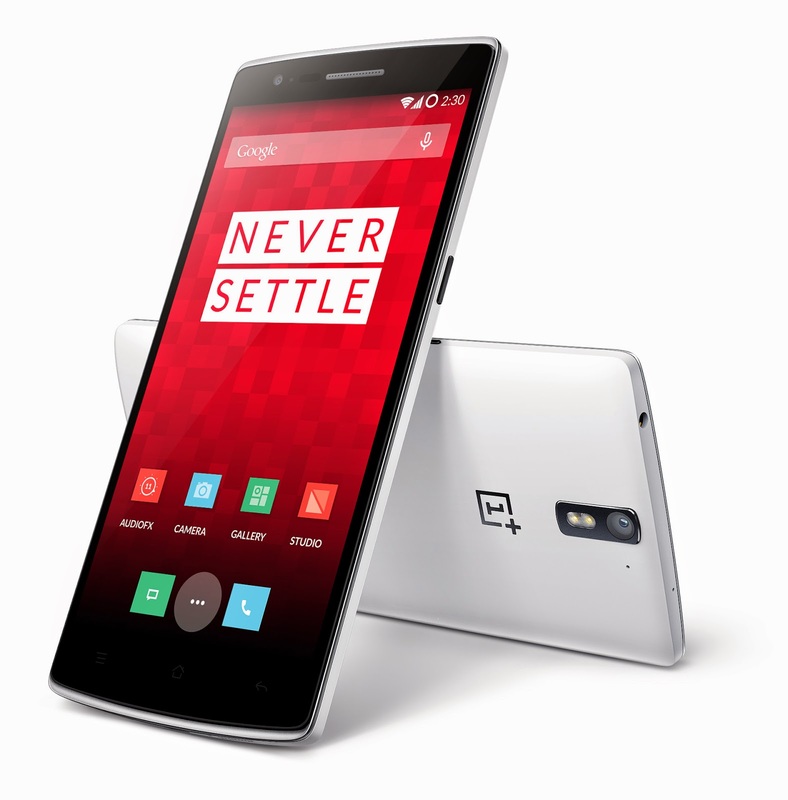 Possibly the greatest smartphone you have never heard of, the OnePlus One is an attractive, premium smartphone without the expensive price-tag. OnePlus is a startup founded late last year by Pete Lau, vice-president of up-and-coming Chinese firm OPPO. The stated design philosophy of OnePlus is "Never Settle" which is reflected in an apparently very high quality of product design. The OnePlus One manages to look both smart and distinctive at the same time. Elegance is sometimes only skin-deep, so what lies underneath the One's pleasing exterior? Inside is a 2.5GHz quad-core Qualcomm Snapdragon CPU with 3GB of RAM, 16 or 64GB of storage and a large 3100 mAh battery. On the front is a 5.5" 1080 x 1920 pixel full HD display with a 13 megapixel camera on the back and a 5 megapixel one on the front. It's worth noting that the main camera is a Sony Exmor unit which has a proven track record in this type of device. This is an LTE-capable device with NFC support and all the usual high-end features. But there are some more unusual features too.. prefer on-screen navigation buttons? You can have those. Prefer the buttons at the bottom? Well, you can switch on those instead. Want to personalise your phone? You can change the back of the device, and you can even use a wooden panel like the Moto X. In fact, the OnePlus One seems to be full of little design details that lift it way above the run-of-the-mill and allow it to compete with leaders such as the HTC One M8 and Apple iPhone 5S. The operating system is Cyanogenmod 11S which is a reworking of Android 4.4. Cyanogenmod is popular with people who like to create custom ROMs for their Android devices, and it has a dedicated following of users and developers. You can control the OnePlus with gesture control and pretty much customise it in exactly they way you want.. something that can be difficult with other Android handsets. The hardware and software look appealing.. but what about the price? OnePlus say that the One will cost $299 / €269 for the 16GB Silk White version or $349 / €299 for the 64GB Sandstone Black version. Initial markets will be the US most of Western Europe* plus Hong Kong and Taiwan. That price is about half that of the HTC One M8 which is probably the best handset on the market at the time of writing. OnePlus say that the One should be available during Q2 although the initial release looks like it will be through invitation only. More details can be found on their website at oneplus.net. One word of warning though - OnePlus are a completely new startup and the company has no track record in getting products to market (although many of their employees do). It's quite possible that the product might ship late (or not at all), the price might change or the quality might not be up to scratch. But we certainly hope that this handset is as good as it promises to be. * Austria, Belgium, Denmark, Finland, France, Germany, Italy, Netherlands, Portugal, Spain, Sweden, United Kingdom. How many of these do you remember? Somewhere in my collection I actually have a Motorola ROKR E1, the disastrous result of a joint venture between Apple and Motorola. There's also a Nokia 9300i, Nokia 770, Nokia 7380 and Nokia N91. Yeah.. I own a lot of phones. Quite a lot of them are weird. These were the days before the iPhone and Android, where the biggest smartphone fight was still between Microsoft and the all-powerful Nokia. But most people had old-fashioned dumbphones instead.. a lot of which were clamshells. Do you remember them? Seriously.. when does it stop being a phone? 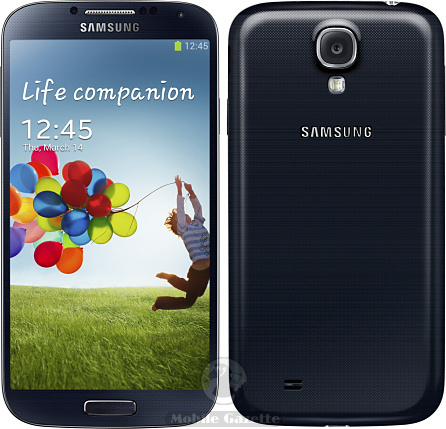 This Galaxy S4 thing has a 5" HD display, a processor with up to eight cores, and it even watches you watching it. Just remember that last point while you are perusing your favourite rubber midget lesbian vore collection. What I hadn't heard of before is the Samsung HomeSync server which is basically a 1TB appliance you put in your home and store all your stuff on, which you can then access from the GS4 or apparently a wide range of other devices. Just don't lose your smartphone..
Of course, the thing with smartphones is that there's always something better just around the corner. 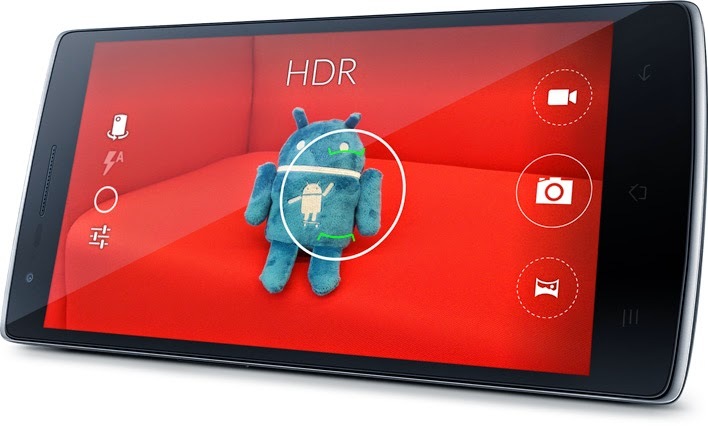 The Google / Motorola Xphone that is rumoured could be a GS4 beater. Anyway.. in the meantime your old smartphone just got a bit more obsolete.. This is nice. If you've been waiting a long time for Nokia to come up with something competitive in the smartphone market then the wait might be over, because the Lumia 920 is certainly as good as the best of them. 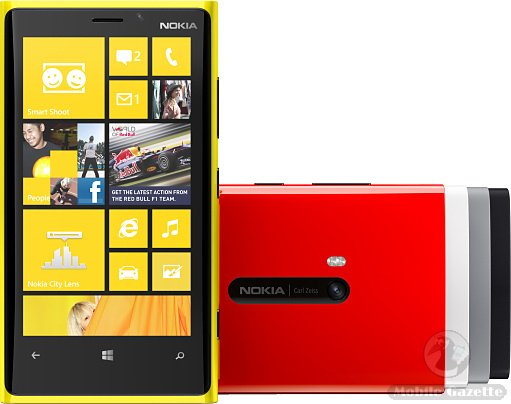 Perhaps the interesting thing is Windows Phone 8, based on the same core as the desktop version. It holds out the promise of eventual Active Directory integration and easier management for corporates. And it's a lot, lot sexier than a BlackBerry. Firefox OS: will it be safe? 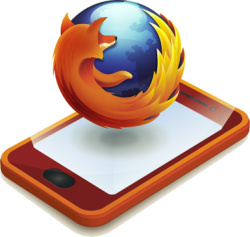 The Firefox OS for mobile devices is built on Mozilla’s “Boot to Gecko project” which unlocks many of the current limitations of web development on mobile, allowing HTML5 applications to access the underlying capabilities of a phone, previously only Unix and Linux based mobile OSes available to native applications. Telefónica’s Digital unit joined forces with Mozilla earlier this year to take this work and showcase a new phone architecture where every phone feature (calling, messaging, games, etc.) is an HTML5 application. Wait.. what? Basically, the browser can interact directly with the operating system.. and this is being done at a time when vendors are trying to keep the browser as seperated as possible from the OS to mitigate against exploits. This led me to pose the question in another publication: Firefox OS: will it be safe? Well, if you know Betteridge's Law of Headlines then the answer is probably "no". We have been down this path before. ActiveX promised to allow the browser (in this case Internet Explorer) access to the system to allow it to do clever things. Yes, software authors could get their applications signed to demonstrate that they were trustworthy, but it was still a security nightmare. And despite the apparent death of ActiveX (when was the last time you installed an ActiveX component that wasn't Adobe Flash?) it still features prominently when it comes to patching. And then there's Java. Java was meant to be safe because it was sandboxed from the rest of the machine it was running on, making it inherently safe. Fast forward to today.. and what is one of the most common vectors for malware infection? Yes, it's Java. Fundamentally the Java security model is broken, as the endless series of patches we see testifies to. From a security perspective, keeping the browser just as a browser and limiting the interaction is has with the OS is the best approach. But the Firefox OS wants to turn that on its head. And while Mozilla will no doubt put in processes to try to ensure that it will be safe, the examples of Java and ActiveX show how difficult it can be to nail it down. Why does it matter? There's a lot of hype about mobile malware at the moment, but in my experience it is still an almost insignificant threat. That will change though, as more and more smartphones and tablets are being used for financially sensitive transactions, and fundamentally a smartphone is just a small computer and it can be added to a botnet for evil purposes. One last consideration is this - getting updates. As (mostly) Android users will know, OS updates tend to dry up shortly after launch leaving the underlying system vulnerable.. although Apple owners tend to get updates for a much longer time. Keeping on top of security threats will require Mozilla, the manufacturers and networks to co-operate closely to keep security updates rolling out. The Firefox OS model closely matched Android rather than Apple.. so Mozilla and its partners have their work cut out here too. If you're interested, this article I wrote is a slightly different take on the subject. I think it's fair to say.. that this is a very, very nice device indeed. Quad-core CPU, Android 4.0, a big HD screen and lots of goodies that will distract you from the (presumably) wallet emptying price. 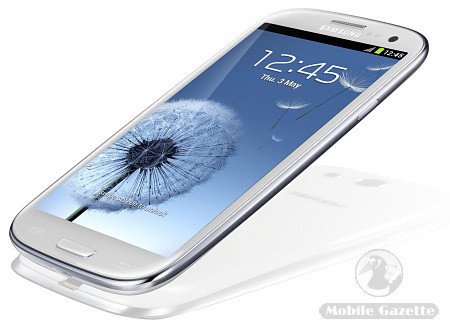 Yes.. it's the Samsung Galaxy S III which is probably the second most anticipated device of the year after the iPhone 5! Nokia N9. Beautiful but doomed. I've always been a fan of big Nokias, especially the Communicator series. My collection includes a Nokia E90, Nokia 9500, Nokia 9110i, a Nokia 770 tablet and even the rare Nokia 7710 touchscreen phone. 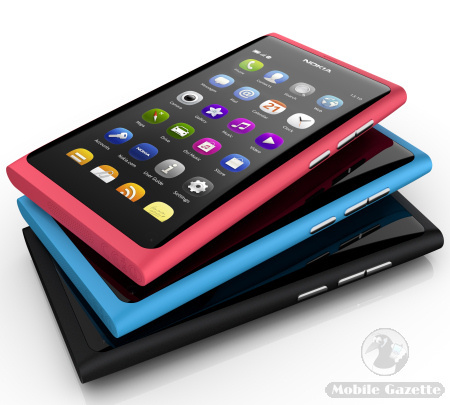 So I should be pretty excited by the Nokia N9. Well, yes.. actually I am excited by the N9 which is Nokia's most powerful phone to date. There's a lovely big OLED screen, a relatively fast processor, lots of memory and the interesting looking MeeGo operating system as well. But will I be buying one? Probably not. MeeGo is doomed. Nokia announced a switch to Windows earlier this year, but the MeeGo-powered N9 was already in development and is now official. However, it's quite likely that we won't see another MeeGo device from Nokia, leaving the N9 as an orphan. And an expensive orphan at that. The N9 really should have been announced over a year ago to follow up from the N900, as it is it's a beautiful but ultimately doomed device.. which is quite sad. Perhaps there will be some bargain ones on eBay in the future though.. Need a phone that works under water? Well, the Samsung B2100 Solid Extreme does. But as they used to say on TV.. "kids, don't try this at home". Awesome or what? 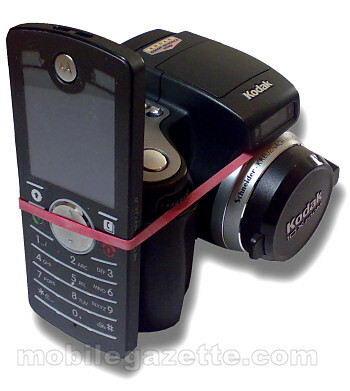 The Nokia N97. Announced a couple of hours ago, the Nokia N97 is a pretty awesome looking bit of kit. We've waited a long, long time for Nokia to come up with something like this.. although I don't think that I will be giving up the Nokia E90 just yet, since the rumour is that there will be a touchscreen Communicator next year (probably announced at Mobile World Congress). There are plenty of rumours that Nokia will announce their "first" touchscreen phone sometime this week.. except that it won't be their first touchscreen phone. Here's a look at previous Nokia touchscreen devices which have mostly been forgotten. It's kind of hard to tell if the T-Mobile G1 is the next big thing or just some sort of damp squib. 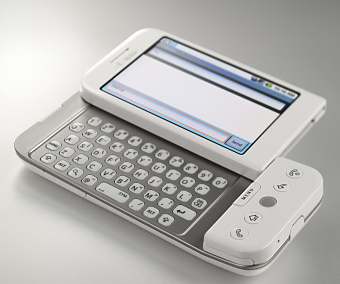 It may not look as impressive as the iPhone on the top, but underneath the G1's Android operating system looks promising. Oddly enough, it got me thinking about how I use my own phone.. and I tend to use web access more than anything else, but make only a couple of phone calls on it a week, sometimes I will listed to music or snap a photograph. I think I tried video calling once. So perhaps this G1 thingie is actually more in line with what a lot of sad geeky people like me actually want. Anyway, this comes out in October in the US, November in the UK and early next year for other T-Mobile customers. Some more pictures are here. Former Moto fans such as myself have waited ages for a truly decent handset to come out from Motorola. The Motorola ZINE ZN5 certainly has an impressive looking camera.. but the problem is that the rest of the phone is pretty unimpressive. Motorola's woes have been well documented, but this certainly does look like Motorola's last chance. And it looks like the ZN5 is not really up to the task..
After lots and lots of rumours, the Apple iPhone 3G is finally here. It adds UMTS and HSDPA (3.5G), plus GPS and mapping. There's a new software platform, plus a number of other enhancements. But, really it's a bit disappointing.. the camera is still poor and you can't take out the battery.. and the 480 x 320 pixel display is so last year..
One surprising thing is that the iPhone will ship to 70 countries from July onwards. They've managed to do all that while keeping the iPhone 3G very quiet indeed. Oh well, perhaps the iPhone 3 will finally be the one that fits in everything but the kitchen sink! A couple of new handsets from Motorola which look nice on paper.. the Motorola RAZR2 V8 is a GSM device with the very similar RAZR2 V9 which is 3G with HSPDA. They have just about the largest external display that I've seen, a 2.0" 240x320 pixel panel with a 2.2" internal one. There are some cool looking external media controls too. On the RAZR2 V8 there's plenty of internal memory, a whopping 420MB expandable with microSD cards, a so-so 2 megapixel camera and lots of multimedia goodies. Talktime is an impressive 8 hours. The 3G RAZR V9 has much less memory and of course a shorter talktime but is otherwise pretty similar. What's the catch? Well, predictably from the name "RAZR2" these look pretty much like all the other RAZRs you've ever seen. And if (like me) you're fed up with the predictable styling and you hate that nasty RAZR keypad then you'll never buy one.. regardless of all the other features. The RAZR2 is Motorola's idea of a brand new phone - and if you look under the hood it seems to be rather good. But most customers will just see it as the same old same old and will avoid it in droves.. after all, there are plenty of other 2G, 3G and 3.5G RAZRs on the market which just aren't shifting. Moto pulled off another trick too and announced four other "new" handsets.. which appear to be four already announced devices with their names changed. Fundamentally these all seem to be very capable devices but Motorola has made them fashion phones.. and the RAZR is definitely out of fashion. The fact the Motorola have repeated the same mistake with the RAZR2 that they have made several times before tells me that this company is not capable of learning. I certainly wouldn't like to be a shareholder! A bit of a surprise this one - the Sony Ericsson P1i appears to be the replacement for the P990i but comes without a full QWERTY keyboard (or the somewhat annoying flip). I've used the P990i a few times, mostly with BlackBerry software installed. The BlackBerry software is the most reliable part of the old phone.. the rest of it is a bit temperamental. Hopefully the Sony Ericsson P1i will iron out the P990's bugs. But it's hard to say if P-series fans will warm to the non-QWERTY keyboard. I have to say that I'm not a fan of the keyboard on the P990.. but I don't like the "SureType" arrangement of two letters per key either. In my book, just about the best QWERTY keyboards come on BlackBerry handhelds, something other manufacturers can't quite get right. It does look very much like the M600 smartphone rather than a P900-series device. 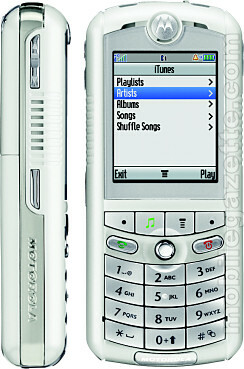 It's hard to say if Sony Ericsson are going to make a bigger version (the P2i?) with a full QWERTY keypad. Perhaps it would be a good idea to give customers a choice? Malware spam: "As per our discussion yesterday, please find attached the amended meeting minutes." Never email donotemail@wearespammers.com . Powered by Blogger.